Don’t just pull the plug on expensive electronics and toss them in a box – a little planning will help you protect expensive gadgets like TVs, laptops and stereo systems. Think before dismounting that big, flat-screen TV by yourself. Follow this step-by-step TV dismounting guide to make sure nothing is damaged. Place all user manuals in a folder so they don’t get lost in the shuffle. Don’t panic if you misplace them because you can usually find them on manufacturers’ websites. Consider a professional mover for your more delicate electronics. Atlas Van Lines suggests using a qualified professional to uninstall any wall-mounted AV equipment and to call in advance to schedule an appointment. Don’t forget about dinner – you still need to eat during a move. Packing up the kitchen is usually the last and most challenging part of the moving process, but if you make plans, you won’t go hungry. It may be tempting to save money by doing the moving yourself, but don’t get in over your head. Know your limits. OZ Moving and Storage suggests “If you’re not sure if you can accomplish some part of your move without professional help, don’t try. We were called up once by a trio of college students who had gotten their couch stuck in a staircase. 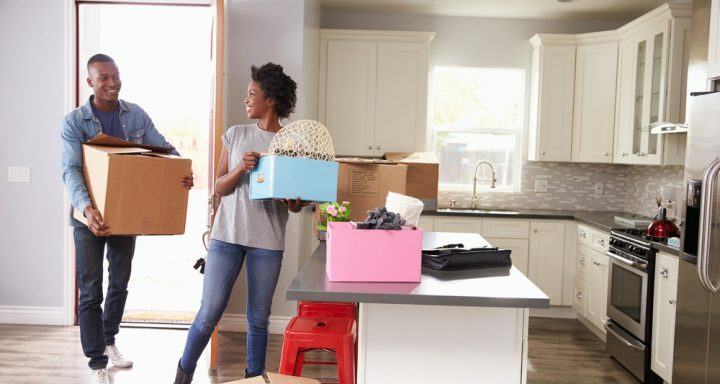 Getting in over your head and having to call emergency help is not ideal.” Get quotes from a few moving companies to determine what needs to be moved or packed by a professional. A successful move is all in the details – but, with a plan in place you won’t forget the small stuff. Keep calm, and call DiVito Dream Makers to make your next move!